I wrote a post in 2014 entitled, Why I Just Bought a Chromebook, so it may seem odd that I'm now writing this post. To be clear, I'm not backing off my favourable position on Chromebooks at all. 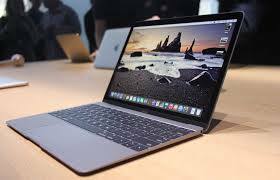 They're great and they can be a lot more affordable than other laptops... like the MacBook Pro, for example. MacBooks are overpriced; I feel that's a pretty defensible comment. So why would I buy one? The answer is actually quite simple and surprisingly non-technical. I have spent my entire career working in software, but I've never bought an Apple computer of any type. I've been using my wife's old MacBook for years, but I've never experienced the best that Apple has to offer and I always wondered what I was missing. If you combine that with the current popularity of Macs--especially amongst web developers--and I just decided it was time. I've run many versions of Windows. I've used FreeBSD and some flavours of Linux (including Ubuntu on my Chromebook), but it's not until now that I can say that I've really had the full Mac experience. Of course, there are lots of improvements as well. The screen is much better, the battery life is improved and everything just generally runs faster on the newer processor and RAM. I also really like the keyboard. It has a very satisfying click which reminds me of a mechanical keyboard. I haven't had the machine very long, so this isn't a proper review. At this point, I'm feeling good about the purchase. Yes, I do miss some MacBook features, but the Pro machine is much faster than my old one and allows me to project to Apple TV. The other one was too old to offer that feature--which gives you an idea of just how big a step us this was in hardware.